Freeform has announced that the second season of their sci-fi crime drama, Stitchers, will kick off on Tuesday, March 22nd. No word on how many episodes have been ordered this time around. Freeform today announced the second season premiere date for its hit original drama series “Stitchers.” The first procedural program for the network, “Stitchers” will debut its sophomore season on TUESDAY, MARCH 22 (10:00 – 11:00 p.m. EST) on Freeform, the new name for ABC Family. A highly intelligent and persistent young woman, Kirsten Clark has an aptitude for technology but never expected to be hacking into the minds of the recently deceased. Recruited into a covert government agency to be ‘stitched’ into the memories of the dead, Kirsten is the perfect candidate to investigate murders and decipher mysteries that otherwise would have gone to the grave. Working alongside Kirsten is Cameron, a brilliant neuroscientist whose passion for the program is evident in his work, and Linus, an earnest engineer and communications technician. The secret agency is headed by Maggie, a skilled veteran of covert operations who closely guards the deeper purpose of the Stitchers program. Kirsten’s roommate, Camille, a gifted computer science grad student, is also recruited to use her skills to assist Kirsten in her new role as a ‘stitcher,’ as well as LAPD Detective Fisher, who provides backup and support for the team. “Stitchers” is executive-produced by Jeffrey Alan Schechter (“Overruled!”), Jonathan Baruch and Rob Wolken. The series stars Emma Ishta as Kirsten Clark, Kyle Harris (“Carrie Diaries”) as Cameron Goodkin, Ritesh Rajan (upcoming “Jungle Book” feature) as Linus Ahluwalia, Salli Richardson-Whitfield (“Eureka,” “I Am Legend”) as Maggie Baptiste, Allison Scagliotti (“Warehouse 13”) as Camille Engelson and Damon Dayoub (“NCIS”) as Detective Quincy Fisher. Part of the Disney|ABC Television Group, Freeform is distributed in 94 million homes. The network connects to audiences and goes beyond entertainment with bold original programming and immersive social engagement. The network delivers a unique mix of quality original and acquired series, plus fan favorite movies and the holiday events “13 Nights of Halloween” and “25 Days of Christmas.” The Freeform app is a service which allows viewers with participating TV subscription services access to 24/7 live viewing of the network, as well as continued on-demand access via a wide array of devices. What do you think? Did you like the first season of Stitchers? Will you be watching season two? 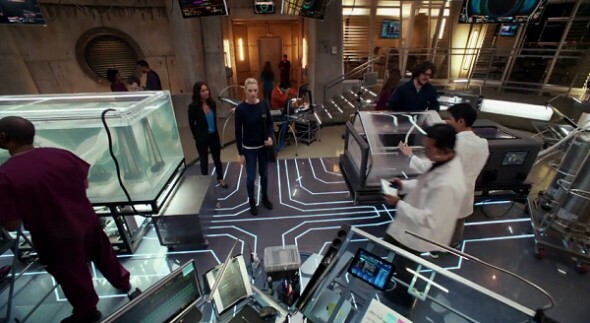 More about: Stitchers, Stitchers: canceled or renewed?